Meeting people is a great way to grow your business when you’re starting out. Think about all the ways to promote your small business when you’re just starting out. Most of them involve meeting people in one way or another. Twitter offers the opportunity to both meet your customers or meet people in your industry. They’re both beneficial to you because you need to be known to succeed. I’ve mentioned Twitter chats on more than one occasion but I never wrote about it specifically. Now it’s time to change that because Twitter chats are an amazing way to network and meet people who can help your business grow. It doesn’t matter if you meet a customer or another in your industry, they’re both necessary to grow your business. Not everyone is in the market for your service immediately but they either will be in the future or know someone who is in the market now. That’s why networking is important. Everybody knows somebody who can either help you or you can help. First of all, understanding what a Twitter chat is will help you understand the benefit it can offer to your business. I picture a bunch of people casually talking about a topic on Twitter during a Twitter chat. Fortunately, it’s a lot more interesting and focused than that. A broad topic that a group of people are interested in (think business, knowledge management, social media marketing, etc.) This topic creates the flow for the Twitter chat week after week. A specific day and time to schedule the Twitter chat so everyone knows when to be there. A group of people interested in the topic. A specific topic for the week with a set of questions to go along with it. When you’re participating in a Twitter chat, expect a question asked every few minutes with a Q# appended to the front. Using the Twitter chat’s hashtag, you’ll answer the question and append an A# to the beginning of your response. It’s that simple at the root of it. The good stuff happens in Twitter chats when the questions turn more into discussions. Some may add to your answer or even ask for clarification. Simple definition: A Twitter chat is a predetermined time where everyone gets together to discuss a specific topic guided by a set of questions. If you’re already using Twitter then joining a Twitter chat won’t take much effort. The most difficult part is getting there at the right time. You’ll first need to find a Twitter chat on a topic that is relevant to your business. You can look at the Open Twitter Chat Directory or the Twitter Chats Schedule. Just make sure you’re looking for a Twitter chat that will help you make one of the two types of connections you need to make. Talk with others in your industry to learn from them, connect with them, and maybe collaborate with them. Join a chat with people in your target audience who could use your services or know someone who could. As an example, I wouldn’t join a random Twitter chat, I would look for a Twitter chat where the main participant is a small business owner. There are dozens of Twitter chats that focus on growing a small business that business owners will frequent. When you’ve found the right chat you’ll know. You’ll have something helpful to share and the discussion will be helpful to you and those you talk to. It will be a give and take with you helping others and others helping you. During the course of Twitter chats you take part in, you’ll be able to connect with a lot of people. As you continue to participate in the same Twitter chat you’ll build relationships and trust. You’ll often see some of the same people each week. As you interact and have conversations with them, they’ll become an important part of your network. Take advantage of the opportunity to genuinely talk to people. You’ll get to know your target audience on a closer level. Twitter chats will give you a chance to understand their pains. That gives you the unique opportunity of understanding how to position your business to solve likely customer’s problem. The most important thing to remember in a Twitter chat is to make connections, not sales. You are never there to sell anything or get customers directly. You’re there to help people, make connections, and be a valuable part of the community. The only time I mention my business is if I have written something helpful that is relevant to the discussion. Other than that, if you show your value then people’s natural curiosity will lead them towards looking into your Twitter profile. To fully benefit from Twitter chats, you need to come prepared with a profile that represents you and/or your business. Coming prepared for a Twitter chat will help you take full advantage of what it has to offer. You’re not likely to make connections without coming to a Twitter chat with a complete Twitter profile. Your small business relies on a complete Twitter profile to be successful. That goes even more for Twitter chats. What happens if somebody you’re talking to in a Twitter chat found what you shared valuable? Now imagine that they wanted to see more of what you’re about and look into an incomplete Twitter profile. They will be disappointed. 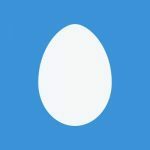 When you sign up for a Twitter account your default profile photo is a generic egg. You never want to come to a Twitter chat as an egg. When you’re prepared with a profile fully filled out and a good profile photo, you’ll be ready to benefit from all a Twitter chat has to offer. Now it’s time to stop waiting and go find a Twitter chat to join. There are rich discussions waiting out there for you to join. You may want to get a better handle on your profile and have a better direction before jumping in. If that’s the case an Online Presence Report will give you direction to improve your brand online before jumping in front of a Twitter chat audience.